By signing this petition, you will receive periodic updates on activism opportunities from Progressive Congress and some of these organizations: Coalition for Human Needs, Daily KOS, Demand Progress, National Association of HUD Tenants, National Priorities Project, Peace Action, People Demanding Action, Progressive Democrats of America and Social Security Works. You may receive updates from People's Budget Campaign, the sponsor of this petition. You may receive updates from Andrea Miller, the creator of this petition. Our nation’s budget should reflect and respond to the needs of everyday individuals and families. How we spend money says a lot about our nation’s priorities and it is vital to securing our future and our children’s future. We need a budget that not just keeps us safe and secures us but also provides opportunities and gives us all the chance to succeed. Our nation’s budget should prioritize job creation and guarantee the longevity of vital safety nets that millions of people rely on. We should invest in clean water and clean air for all communities and funding for infrastructure to prevent disasters like the crisis in Flint. We should devote funding to educational programs that ensure that all students can succeed rather than being doomed to fall behind simply because of their family’s income or zip code. We should support vital social services, so that everyone can share in our country’s prosperity. We should promote a budget that creates an economy that works for all of us that fairly looks out for the poor and the middle class instead of just catering to the rich. Our nation’s budget should reject any move to take away funding from the policies and programs that are improving the lives of millions of vulnerable individuals and families. The Administration’s proposed move to increase spending for the Department of Defense and border enforcement above and beyond agreed upon spending caps for 2017, while leaving critical human needs programs without additional resources will fail the responsibility we owe our people. Additionally, the Administration’s proposed increase of $54 billion for military spending for the 2018 budget at the direct expense of vital domestic programs, programs that are in critical need of more funding as it is, will endanger the health and well-being of our people. Congress should read the Pentagon’s Defense Business Board’s report describing $125 billion in waste that could be eliminated, and stop funding weapons and equipment that the Pentagon is not even requesting. Our nation’s budget should address the actual needs of our people. 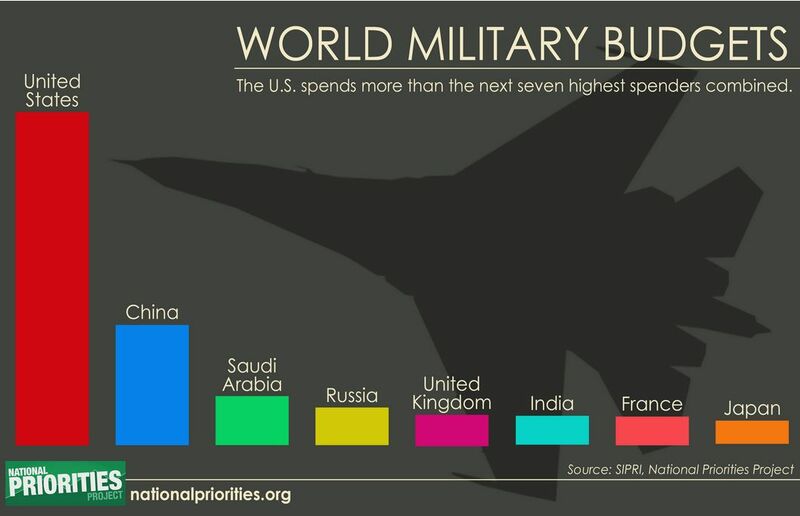 Our military might is unequaled; what we need to improve is access to healthcare, housing, education, a clean environment, career opportunities, and social services for all of us. We need to safeguard vital programs such as SNAP/food stamps, SSI, Social Security, Medicare, and Medicaid, which lift millions out of poverty. We need the economic security that affordable childcare, housing assistance, the Earned Income Tax Credit, and Child Tax Credit provide. We need to invest in infrastructure, to prevent environmental disasters and protect local communities and to renew our nation’s railways, roads, bridges, schools and waterways - the same infrastructure that created so many jobs in the mid-20th century and is now due for repair. We need public works projects that will propel our economy forward into the 21st century, projects that would create hundreds of thousands of jobs in the construction and manufacturing industries. Our nation’s budget should reflect and respond to the needs of everyday individuals and families, but the plans by Trump and Congressional Republicans to shift money away from critical services will endanger the economic safety and security of our nation. Our nation’s budget should prioritize job creation and guarantee the longevity of vital safety nets that millions of people rely on. Our nation’s budget should reject any move to take away funding from the policies and programs that are improving the lives of millions of vulnerable individuals and families. Our nation’s budget should address the actual needs of our people.